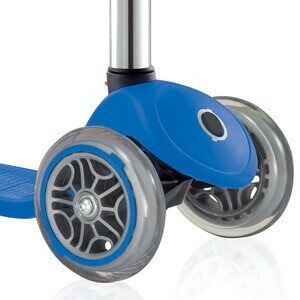 Primo offers stability with a three wheel structure and a low-ride foot deck, both ideal for developing balance and confidence. The steering lock system and lean steering will teach children how to ride and safely learn how to turn. 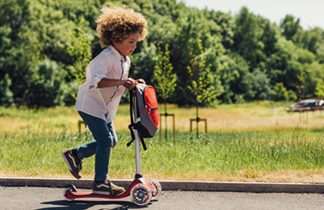 The adjustable handlebars allow the scooter to grow up with your little one, with three height settings. The steering lock system and lean steering will teach children how to ride and safely learn how to turn. 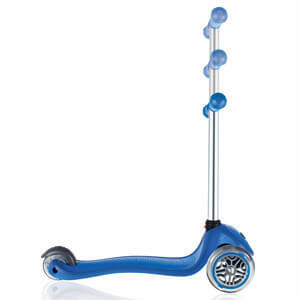 The height adjustable handlebars have three height settings so the scooter can grow with your child. You can rely on the trusty braking system to slow you down safely when you need it. 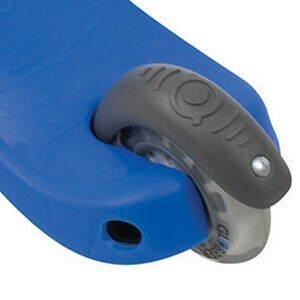 Simply put pressure onto the brake grip with your foot to slow the scooter down. 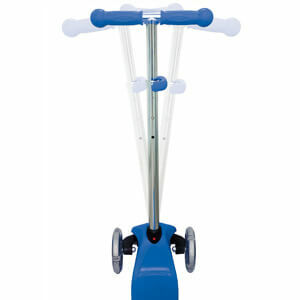 The steering locking system enables children to progressively learn how to turn. Push the button on the front of the scooter to lock the wheels in place or depress the button to unlock and allow free steering.